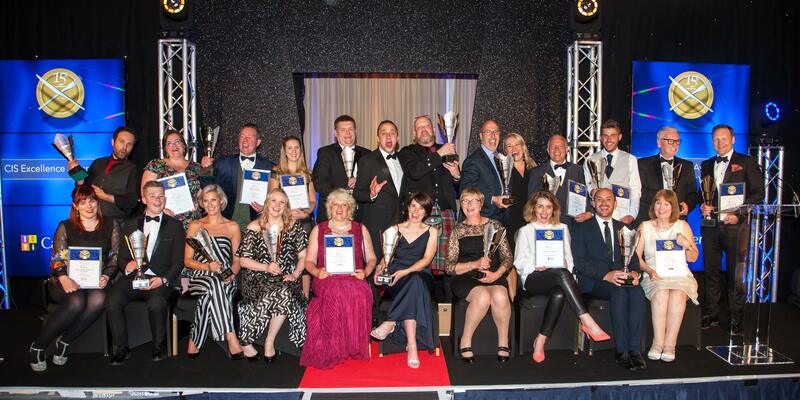 Fred Berkmiller, Chef Patron of Edinburgh restaurants L’Escargot Blanc and L’Escargot Bleu, is up for a double success at this year’s Catering Scotland Excellence (CIS) Awards. With Berkmiller himself shortlisted for the Chef of the Year title for a second time, his L’Escargot Blanc (The White Snail) establishment in the capital’s Queensferry Street is one of three finalists in the Restaurant of the Year category, alongside Glasgow’s Gamba and Shirley Spear’s Three Chimneys on the Isle of Skye. His other restaurant, L’Escargot Bleu (The Blue Snail) is in the capital’s Broughton Street. Other contenders for Chef of the Year include: Billy Boyter, who reopened The Cellar at Anstruther in 2014; Brian Grigor of The Balmoral; previous winner Geoffrey Smeddle of the Michelin-starred Peat Inn at St Andrews; and 2017 finalist Paul Wedgwood of Wedgwood The Restaurant on the capital’s Royal Mile. Meanwhile, The Cellar’s Conor McLean, a member of the Scottish Culinary Olympics team, is one of three finalists in the Young Chef category, together with Craig Palmer of the Marcliffe Hotel and Spa in Aberdeen and Kevin McCafferty from City of Glasgow College. Shortlisted in the particularly competitive Independent Hotel of the Year category are: The Douglas Hotel on the Isle of Arran, Dunstane Houses in Edinburgh and the Lovat Loch Ness, which is built on the site of a Hanoverian fort built to pacify the Highland clans after the 18th century Jacobite uprisings. The Group Hotel of the Year Award will be contested by the Doubletree by Hilton Glasgow Central, Sonas Hotels’ Skeabost House, near Portree on Skye, and The Waldorf Astoria Edinburgh – The Caledonian. The nautical-themed Nobles Café Bar and Restaurant in Leith is shortlisted for the Pub Excellence Award where it is up against Rabble Taphouse and Grill in Edinburgh’s Frederick Street and the city’s Scran and Scallie. As the country’s annual contest for the hospitality, catering and tourism sectors, the CIS Excellence Awards are widely accepted as the ultimate accolade for chefs, hotels, restaurants, gastropubs and educational institutions. In this, their 15th anniversary, they will be presented at the Doubletree by Hilton Glasgow Central on Thursday 31st May. For more information on the shortlist of finalists or to book a place at the event, call 0131 557 5767 or visit www.cis-excellenceawards.com. The winner of this award will be announced and awarded at the awards ceremony on the evening of 31st May.